Psychology is the study of the human mind and behavior. Fasting controls the human temptations and helps us on how our behavior should be on a daily basis. It is a training and reminder of proper behavior as well as a way of being thankful for that which Allah subhana wa ta’aala has blessed us with. Most of us have the will to do well, whether it is to quit smoking, or lose weight for health reasons, or to even learn a new language. The psychological benefits of fasting helps one to do all these things and more. It helps us to learn how our mind works and how or what we need to do to accomplish our goals. Sometimes we have the will but we just don’t know how to reach our goals, we try many things and sometimes if we fail we lose that will to reach our goal and end up continuing with our habits. Insha Allah with the will of Allah I will do my best in explaining to you what is psychology and how fasting can benefit one psychologically. I will go over types of psychology that play a role in fasting. Along with some medical benefits and emotional states that can be controlled through fasting. Those who believe in Islam must truly believe that the religion of Allah is very much science as science is very much Islam. We always have a way of acting, believe it or not we have the ability of being who we want to be or at least an example could be like Mr. Watson says we can bring up our children in the best manner or the worst. It is up to us. The ability of doing good, being good is always a possibility however people will always have excuses as to why they can’t overcome them. The Emotional Level While one is fasting we withhold negative thoughts and language and try to practice patience and positive thinking. We cannot be angry; that which makes us angry we try to avoid. I say avoid in meaning that we try not to listen to conversations that may not have anything to do with us, or that may invite us to express an emotion that may lead to anger. Avoid sensitive topics that may have irritated you in the past, and those who get under your skin. This will ease your journey towards a successful fast. However, if you are up for the challenge this is a training process, but you must renew the days that you have failed. Allah is all Kind, all Merciful. Shaykh Bilal Phillips states that fasting on this level involves controlling the many negative emotions which fester in the human mind and soul. For example, among the most destructive emotions is anger. Fasting helps to bring this emotion under control. When the things of the world are used to fulfill human needs and desires almost as soon as they have them the ability to delay gratification is an important skill. What is between immediate gratification and delayed gratification is patience. During the fast, the believers learn patience and the benefits of it. We don’t have to have what we want when we want it. This is something we are taught since childhood, yet some are still having trouble with this as adults. We eat what we want when we want and think of the consequences later in life. The fasting person psychologically controls evil thoughts and trains self, to some degree, how to overcome stinginess and greed. We learn how to become more sentimental for others in need. There comes that other important thing we also learned as a child. To Share! Giving others that which you have plenty of, helps the giver to let go of these worldly things and embrace the rewards of the afterlife, insha Allah. Even in leadership, it is not about being above the people but being like the people and this requires sympathy for others. This is why fasting is the only pillar we do for Allah because no one knows of it yet we benefit from it a great deal. Neurotransmitters Also important in the field of biopsychology are the actions of neurotransmitters. Neurotransmitters carry information between neurons and enable chemical messages to be sent from one part of the body to the brain, and vice versa. In regards to immediate gratification, from a psychological perspective, it is good to be somewhat detached from the things of the world. There is nothing wrong with enjoying a good and full life - in fact, one can and should expect that. However, it is important that people are able to detach themselves from material things so that they do not become the most important part of their lives. 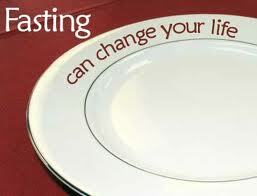 Fasting gives us the opportunity to overcome the many addictions which have become a major part of modern life. Food, for many people, provides comfort and joy, and the ability to separate oneself from it gives the fasting people the psychological benefit of knowing that they do have some degree of control over what they do and what they do not do. Along with many other habits we may have, like cursing, smoking, lying, etc. We know that if we ever do choose to really quit we can. 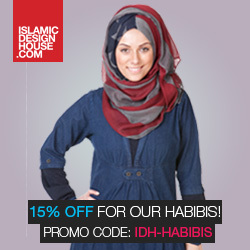 So have you ever gained control and were able to better yourself through fasting? Perhaps quit a bad habit?